Talented new author Marco Marek was born in Turin, Italy and is fascinated with fantasy stories, medieval magicians, ancient history, and unexplained mysteries. Hence the birth of his first novel - HYPEREARTH – a response to a visit to a castle in Eastern Europe. 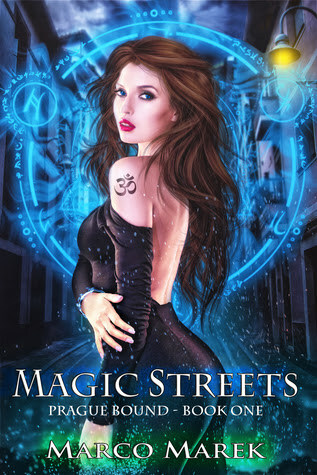 Now he extends that fascination with MAGIC STREETS, the first book in a very promising series he calls PRAGUE BOUND. Marco has a strong future in writing, but he is also a painter and photographer and a creator of digital artwork. The avenues of art marry in this successful volume. 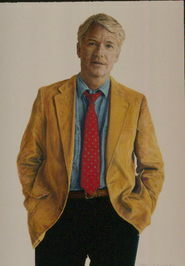 Authors who are successful in penning books of romance and espionage must have the ability to capture the attention of the reader from the first few pages. Marco offers a portal to his adventure that not only introduces his two main characters immediately, but he also enters the mystery that is to develop as the book unwinds. PRAGUE BOUND is complex and can be reduced with difficulty to a little synopsis to gather attention to a story that is very well written: ‘Photography has never been so dangerous for Jack. Excited to visit Prague, Jack packs his camera and sets out to complete an assignment for a well-known magazine. However, shooting award-winning photographs isn't the only challenge that Jack will face. Blissfully unaware of the magic contained within the city of Prague, Jack rents an apartment at a mysterious former hotel. Determined to complete his assignment, he stumbles upon a magic street, he didn't know he will be involved with a monster hunt with a tarot reader, a young witch and a bridnet boy (‘boys who have special powers such as listening to all frequencies of radio, TV, PC, phones, an dreading in another person’s mind – hybrid mixture of humans and aliens’). The adventure that awaits is filled with magic, turmoil, danger, and a newfound love. Will Jack be able to face his fears or will the city be lost forever? Though some may find it difficult to relate with concern to some of the characters, there is no question that the speed of the story development will erase any of those obstructions. Marco is growing – and it will be interesting to see where he takes us next.